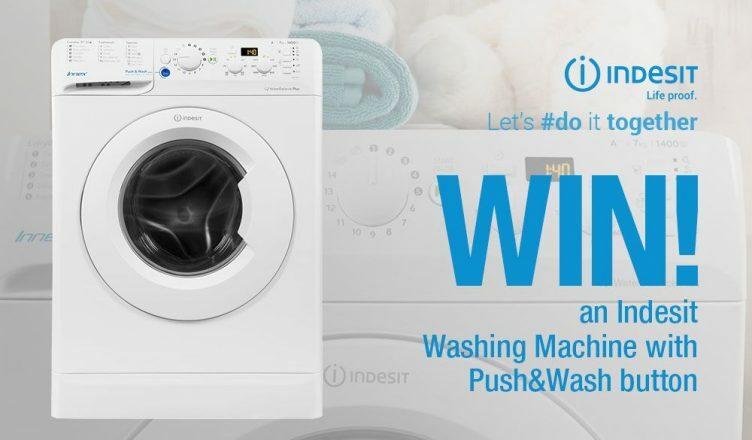 Our latest exciting competition will see one lucky person win an amazing prize – an Indesit Innex BWD 71453 W UK 7kg washing machine in white! This prize promises to free up time from your laundry chores – ensuring you get to do something more fun than dealing with a laundry mountain. The features and programmes are designed to make life easier – whilst ensuring your clothes and laundry are clean and cared for. 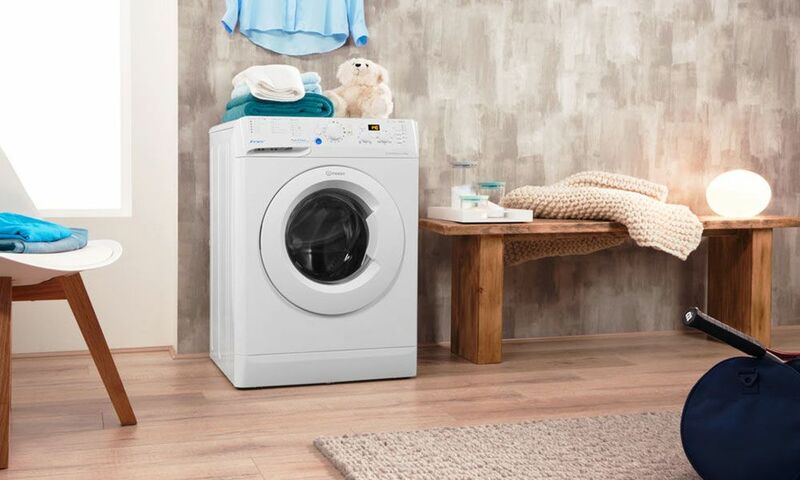 For busy households, the Indesit Innex BWD 71453 W UK 7kg washing machine is brilliant at getting the results you want while also saving you time, money and effort. The Indesit Innex BWD 71453 washing machine makes light work of combining outstanding daily cleaning technology, alongside great capacity, an impressive 1400 rpm spin speed and an exceptional A+++ energy rating – it’s everything you need for super-clean, great smelling laundry. This machine also features Indesit’s innovative Push & Wash program. The Push & Wash program takes one just step to deliver you brilliant cleaning and stain removal in just 45 minutes – all without the need to pre-treat or scrub. 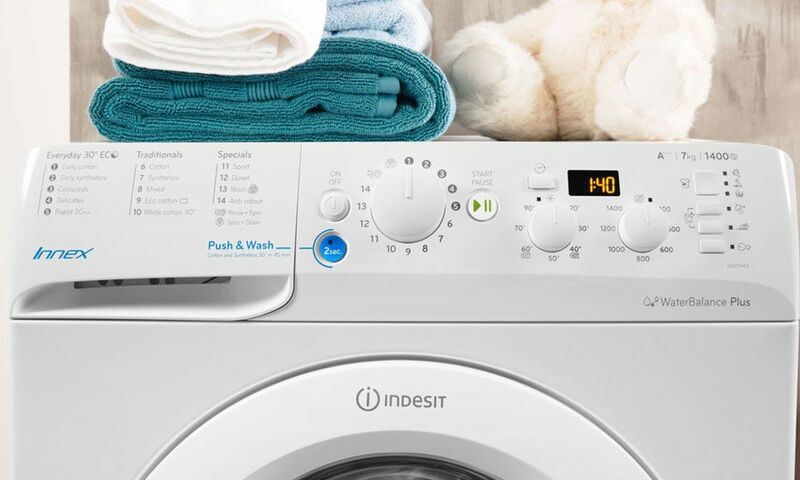 All you need to do is press the dedicated button for two seconds and the Indesit Innex will automatically start a 30°c cycle that is the perfect every day wash for a wide range of cottons and synthetics. For regular wash cycles, Innex’s range of Everyday Eco programs will have something to suit all your laundry needs . Tailored for daily cotton, synthetic, colours and delicate washes, the Innex BWD 71453 also features a convenient Rapid 30 Minute freshen up, which is ideal for lightly soiled garments. 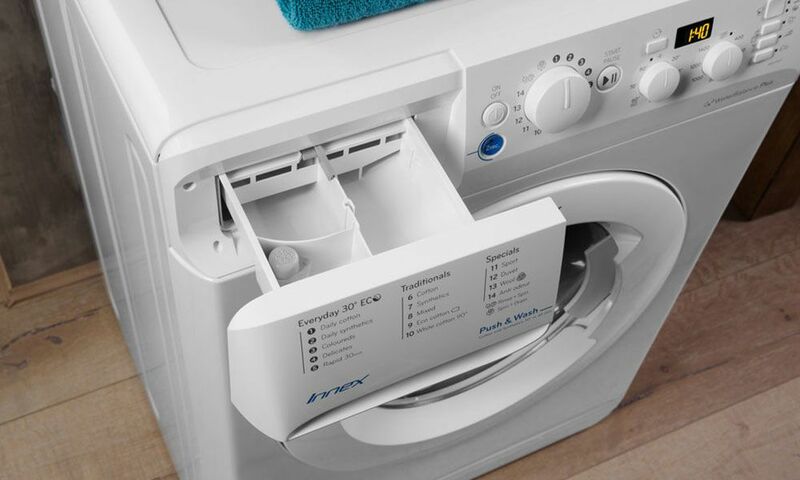 Indesit have ensured that the Innex BWD 71453 W UK 7kg washing machine is resource-conscious, thanks to Water Balance Plus. Water Balance Plus adapts the amount of water used according to each cycle’s need, ensuring it uses less water, less energy and takes less time. Ultimately, this will help to save money on your energy bills and save you time. With dedicated cycles for your hardwearing items like denim and sportswear, the Innex provides an intense wash that really gets between the tough fibres to deliver a deep clean that will help to restore the vibrancy of your clothes. There’s an easy-to-use digital display, which also includes a delay timer that allows you to set the machine to come on at the most convenient time for you. Whatever you’re washing, the Indesit Innex BWD 71453 washing machine has a solution for you, so let the Indesit Innex BWD 71453 W UK 7kg washing machine help free up some time away from the laundry pile. To find out more about this competition and to be in with a chance of winning one, just head to our Facebook, Twitter or Instagram pages to find out how you can enter our brilliant FREE competition. You can also buy online or ask your local store about viewing our Indesit range. WIN A WEARABLE SPEAKER WITH HUGHES & BOSE!